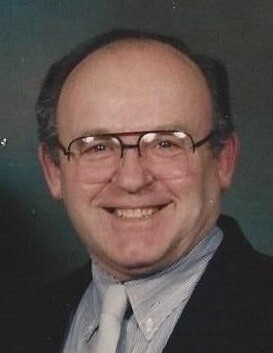 Rodney Donald Vincent, “Rod”, 81 of Whiting, passed away peacefully on the morning of Monday, March 25, 2019 at his residence. He was the beloved husband of the late Veronica “Ronni” (Stofcik) Vincent who passed away October 10, 2001; loving brother of Lois (late George) Malik, Anna (Jerry) Morris, Linda Irace, Harold Vincent, Cary (Gail) Vincent, Anthony Stewart, Larry Stewart and the late Armajean Wakeland, Tim Stewart and Hugh Stewart; dearest brother-in-law of Warren Wakeland, Pam Stewart, Thomas Stofcik and Mary Stofcik; dear uncle to many nieces and nephews; devoted caregiver, Dolores; cherished feline companions, “Precious”, “Dink” and “Frankie”. A Memorial Mass will be offered on Saturday, April 27, 2019 at 10:00am at St. John the Baptist Catholic Church, 119th St. and Lincoln Ave., Whiting with the Rev. Mark R. Peres, C.PP.S., officiating. Private funeral services were held on Friday, March 29, 2019 at the Baran Funeral Home, 1235-119th St., Whiting, followed by interment with Military Honors at St. John Cemetery, Hammond. Rod Vincent was born on June 13, 1937 in Chicago, Illinois to Harold and Frances (Phipps) Vincent. He grew up in the Black Oak Neighborhood of Gary and was a graduate of Calumet Township High School. Class of 1955. 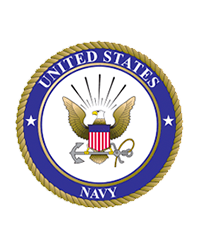 He was a veteran of the United States Navy and was a member of the American Legion, Whiting Post 80. Rod was a member of St. John the Baptist Catholic Church, Whiting, the Marian Theatre Guild, the First Catholic Slovak Ladies Assoc., BR. 81 and the Knights of Columbus, Pope John XXIII Council, 1696. He was a retiree of the US Steel Co. and was a retired maintenance engineer for the St. John Parochial Center. Rod loved cars (especially his corvette) and was an avid Chicago Bulls fan. Devoted to his family, Rod will be sadly missed by all who knew and loved him. In lieu of flowers, memorials to either the Marian Theatre Guild of St. John Church, Whiting or to the 2nd Chance for Pets Network would be appreciated. There's still time to send flowers to the Memorial Mass at the St. John the Baptist Catholic Church at 10:00 AM on April 27, 2019.